The first time I heard about Scandal, the TV series featuring a sharp-witted woman with an uncanny intuition and passion to do the right thing in the murky, tumultuous backstage area of Washington DC politics, was via the show’s costume designer, Lyn Paolo. I was fascinated by her insight into costuming and the subtle but key role it plays in character complexity. Since then, I’ve enjoyed watching the first three seasons of the series, which is part episodic conflict-and-resolution, part governmental conspiracy theory, and part soap-opera romantic tension, all perfectly dressed up with striking, sophisticated styling. Fans (including myself) have been enamored with Olivia Pope’s (played by Kerry Washington) graceful, classic, and utterly feminine fashion. So much so, that the Prada bag that she uses in Season 1 was sold out within days of its first screen appearance! The collection launched yesterday, September 23, just ahead of the first episode of the fourth season, which airs tomorrow, Thursday, September 25. 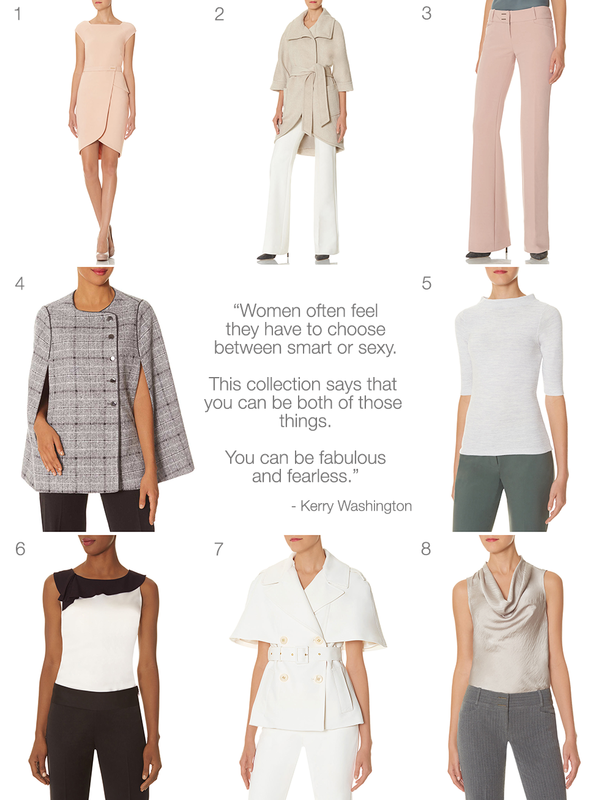 It includes chic outerwear, tailored pant and top suit separates, silky tops, fitted pencil skirts, and figure-skimming dresses. The cape is one of this fall’s favorite silhouettes. Rendered in versatile, classic grey plaid, this is a chic, refined statement outerwear piece. This is my personal favorite of the collection, and I’m excited to see how it looks and feels in person. Love the smooth, metal snap closures and the faux-leather trim! 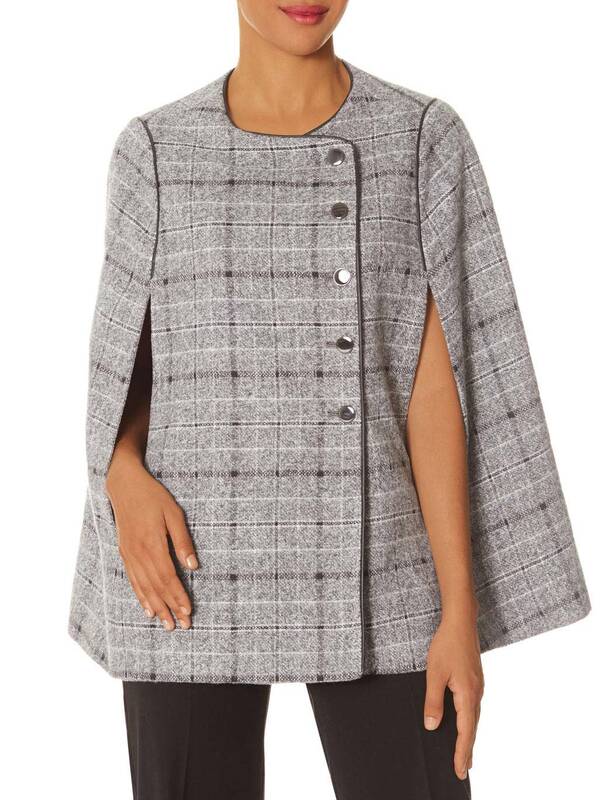 This has a similar cape construction to the plaid coat, but the shortened sleeves better highlight the arms (perfect for wearing cashmere or leather gloves) and belted-in waist. The look is utterly feminine and fresh, and is sure to get draw attention to the wearer. For an even more arresting look, I’d switch in another accent belt, such as a patent black or matte red belt. 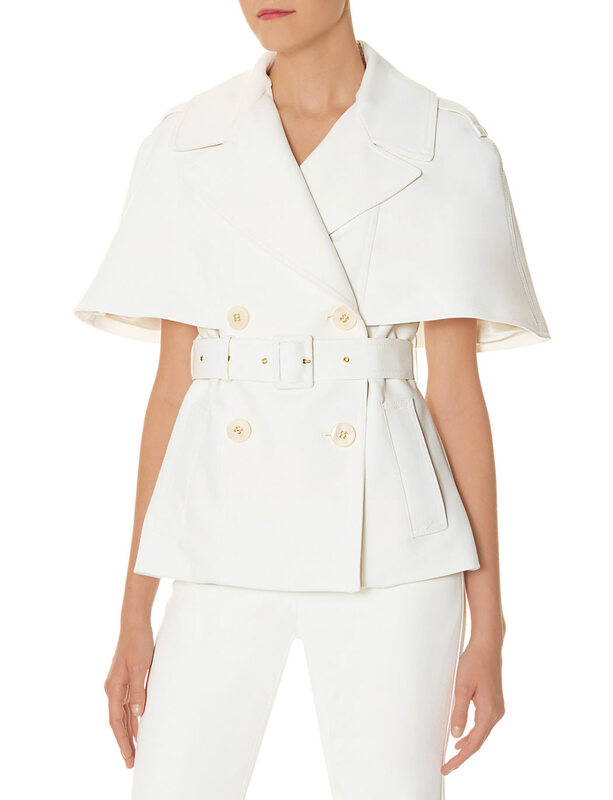 The 3/4-length sleeve is perfect for layering with statement gloves, and the tulip front hem is a graceful detail that keeps the coat from feeling overly-long or bulky. It feels unfussy, yet refined, and would look great layered with just about anything. I love the clean, retro-mod feel of this sheath dress. 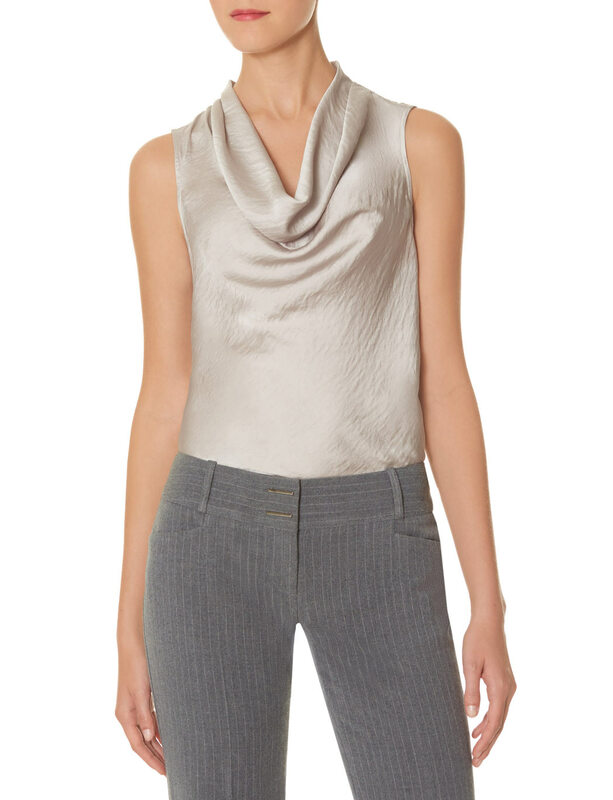 The straight neckline and belted waist with gold metal detail keep the look streamlined. The tulip hemline makes another appearance; since the overall geometry is kept simple, it should work for some time to come. 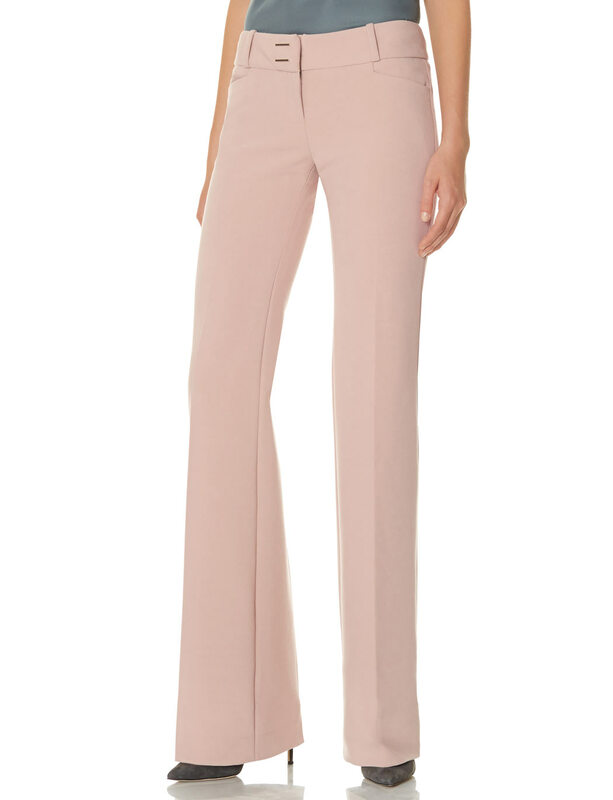 I’m quite a fan of this light pink piece as an evening staple for the transitional seasons. 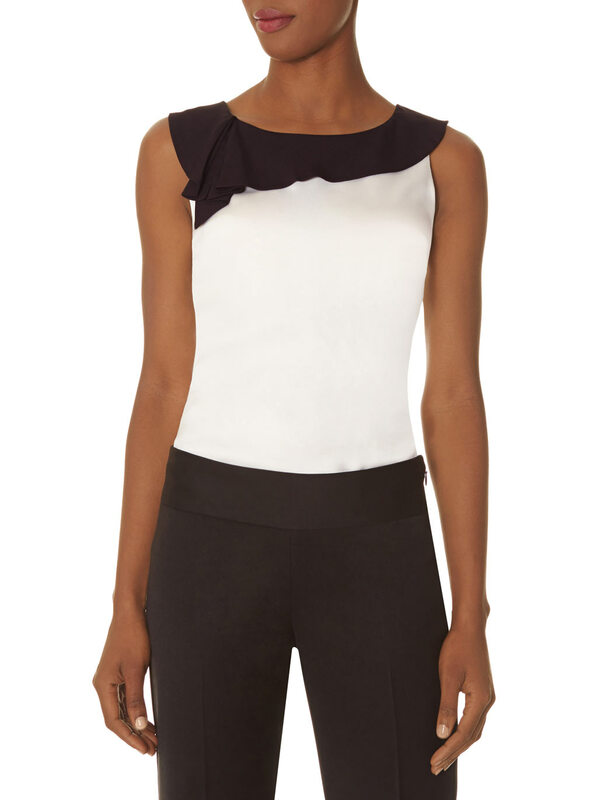 I’m particularly fond of tops with simple visual interest created by layered fabrics. 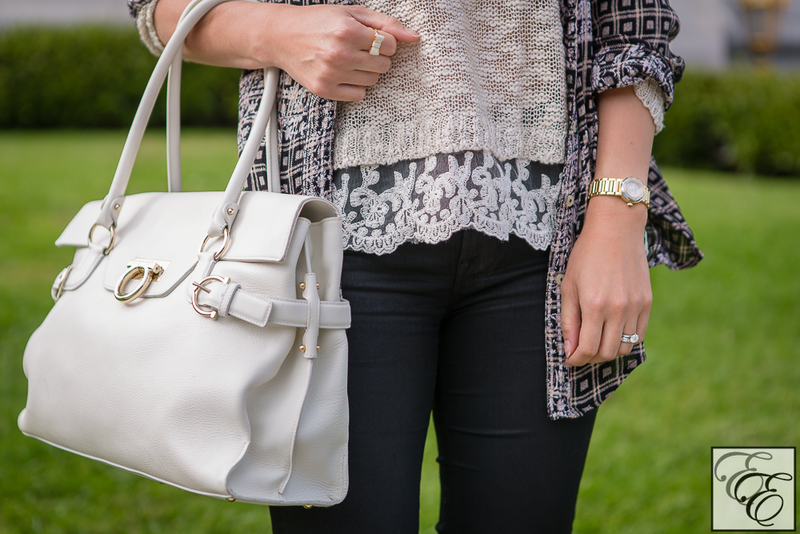 This version in neutral cream and black is appropriate for any occasion. For when you want an easy, elegant alternative to your LBD, this would do the trick, paired with anything from a structured skirt, to jeans, to leather leggings. 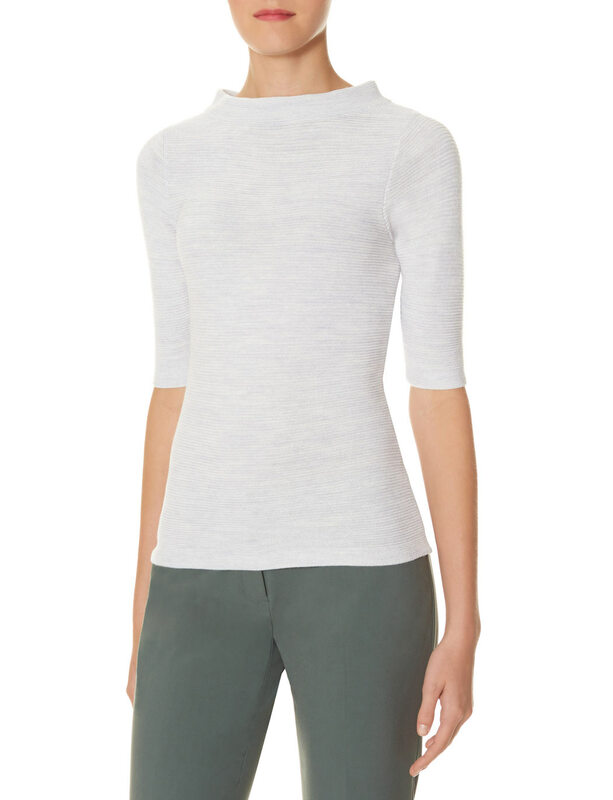 Fall is all about sweaters, and this feminine, soft short-sleeve version is perfect for the transitional fall weather. The slightly-raised boatneck collar looks strikingly regal and showcases your neck and face. This beautiful and unique modern take on a classic is intriguing with its structural simplicity. Skinny is no longer the hottest silhouette (but it’s still around and I’m not going to stop wearing it!). A range of wider cuts are here to play, including the retro-classic flare. What really stood out to me was the color; there are countless black and grey slacks for the winter, but pink feels rather special! 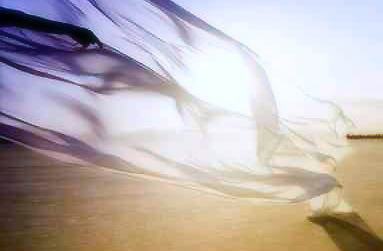 In a season where dark shades dominate, these soft, flowing long lines will stand out in a lovely way.